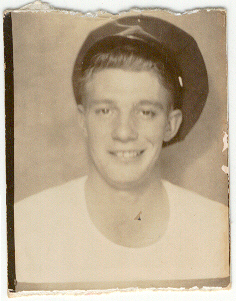 Similar as I have done with other family members, I thought I would make available all the pictures I have of Grandpa. I won’t write much, just present the few photos and documents I have in chronological order, as best I can tell. 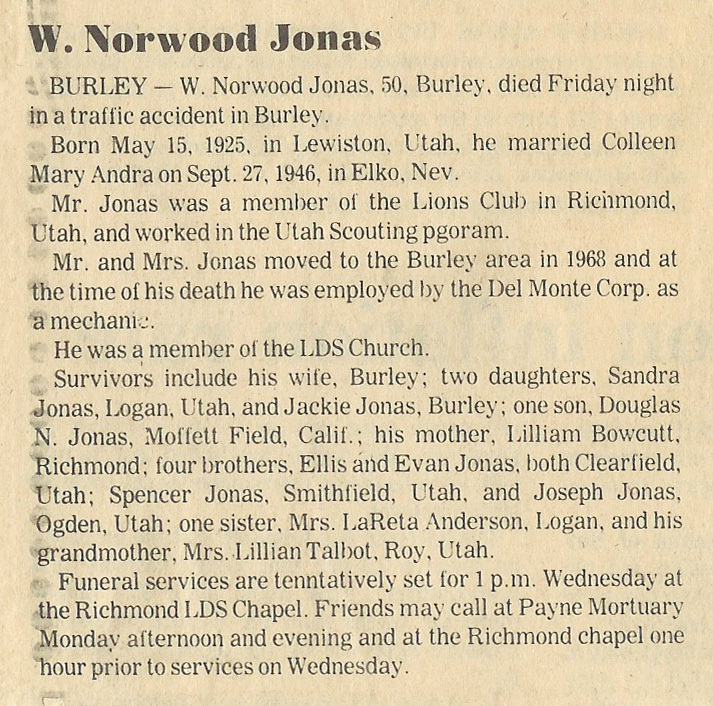 Wilburn Norwood “Nor” Jonas was born 15 May 1924 in Lewiston, Cache, Utah to Lillian Coley and Joseph Nelson Jonas. The fourth child of eight to his parents. 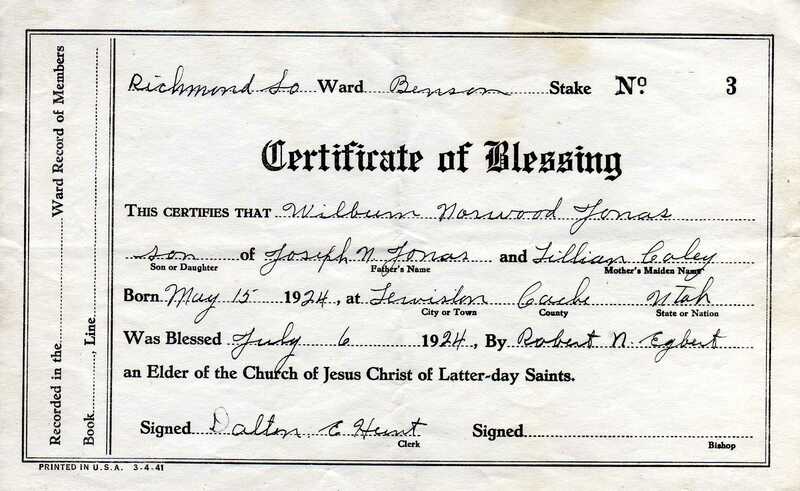 He married Colleen Mary Andra 27 September 1946 in Elko, Elko, Nevada. Three children were born to him and Colleen; Douglas in 1952, Sandra in 1954, and Jackie in 1960. 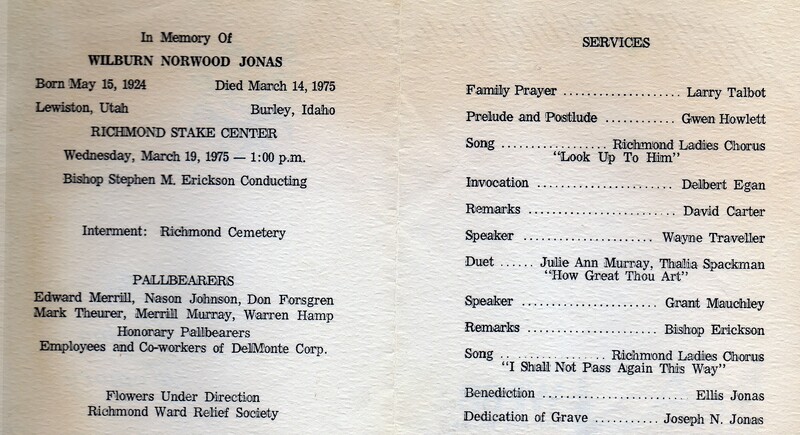 He died 14 March 1975 in Burley, Cassia, Idaho and was buried 19 March 1975 in Richmond, Cache, Utah. 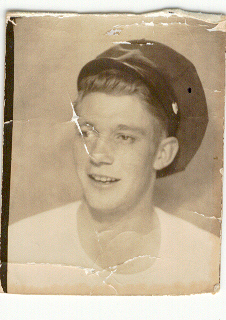 I think this is the youngest picture I have of Grandpa. 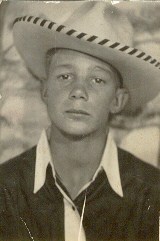 This picture shows some of his youth. He graduated from Primary in 1936. A couple of pictures taken as a teenager. 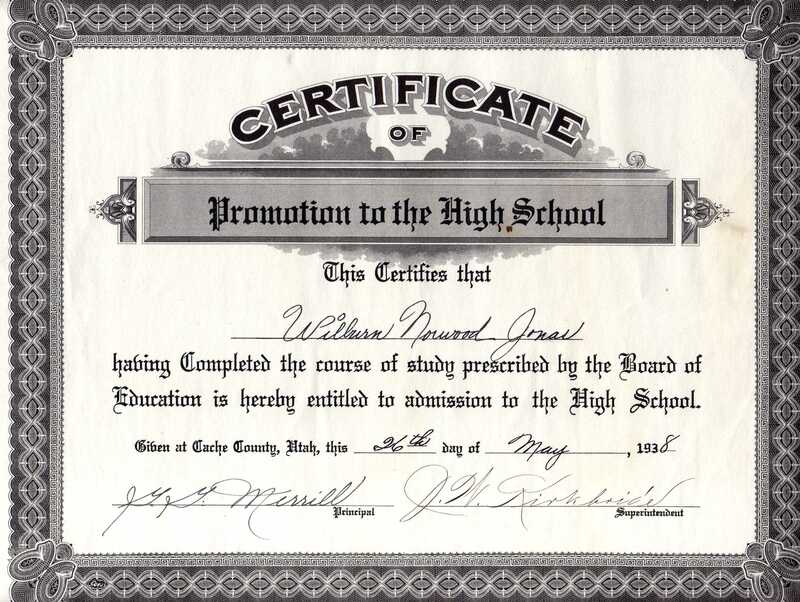 His Certificate of Promotion to the High School, North Cache. A promissory note to attend North Cache Seminary. 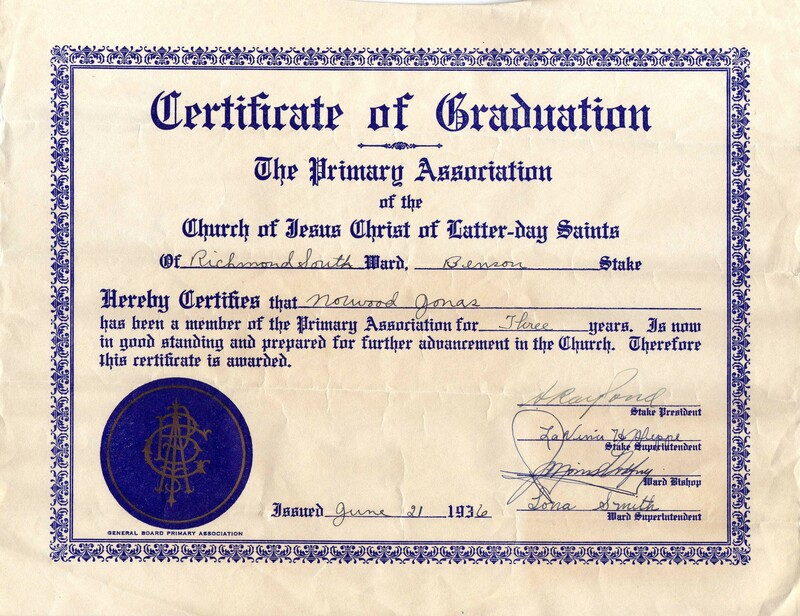 I was a bit surprised signed a promissory note for $1.35 to attend Seminary. 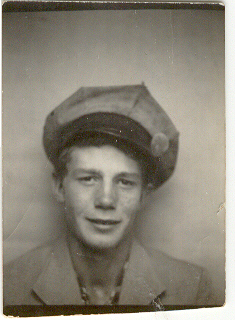 He worked for Western Coal in 1943, I don’t know if he lived in Carbon County or if this was closer to Richmond. 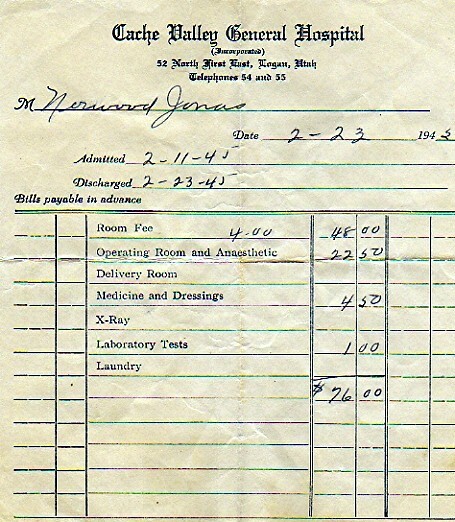 He had a hernia operation in 1945. 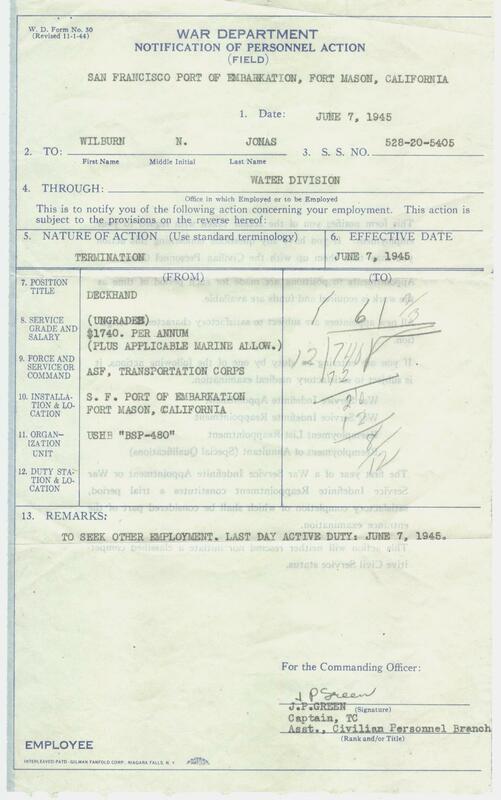 Here is the bill. Somebody tried to get a liquor license dishonestly. Logan City Court misdemeanor. City Attorney L Tom Perry. 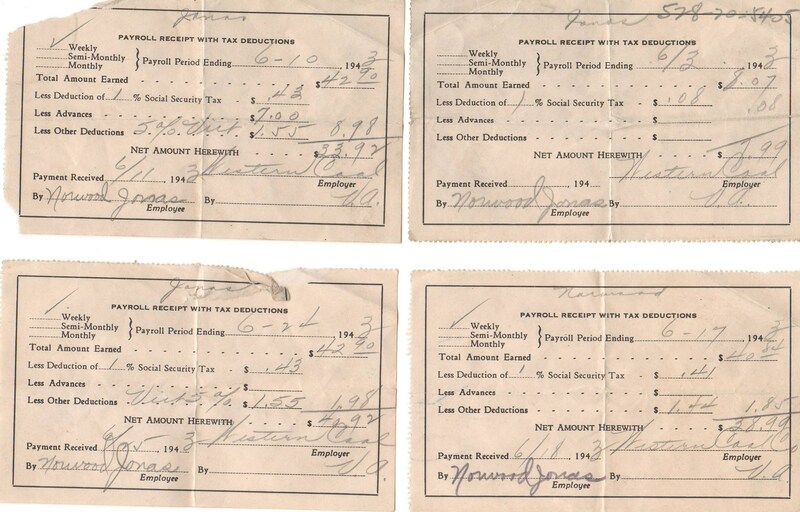 Grandpa also worked for the government during the war. 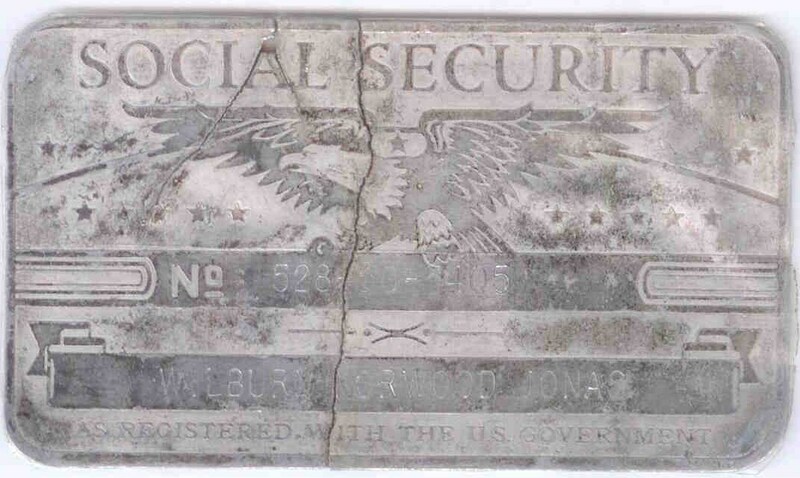 His metal Social Security Card. 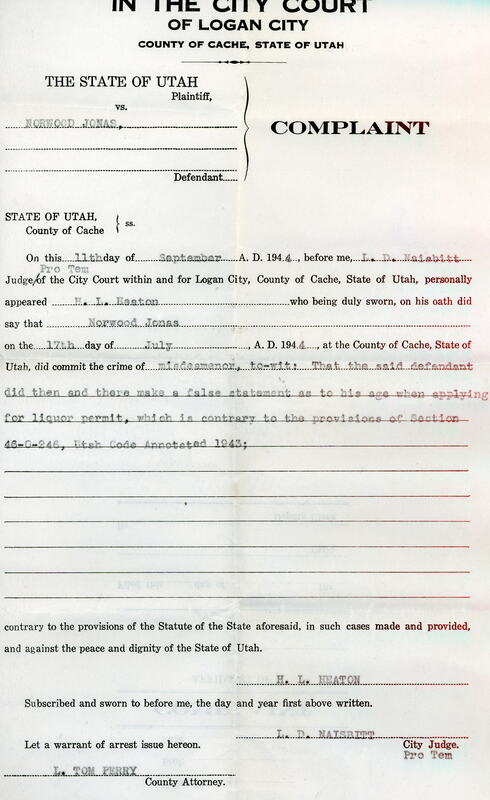 The rejection of his liquor license in 1946. 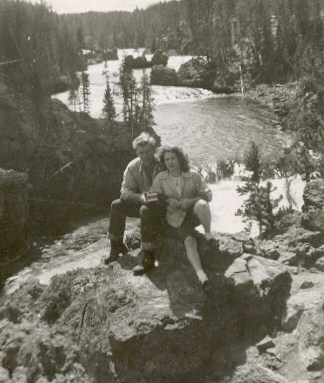 A picture given to me, of lesser quality scan, of Norwood and Colleen in Yellowstone in 1946. I understand this was from their honeymoon. 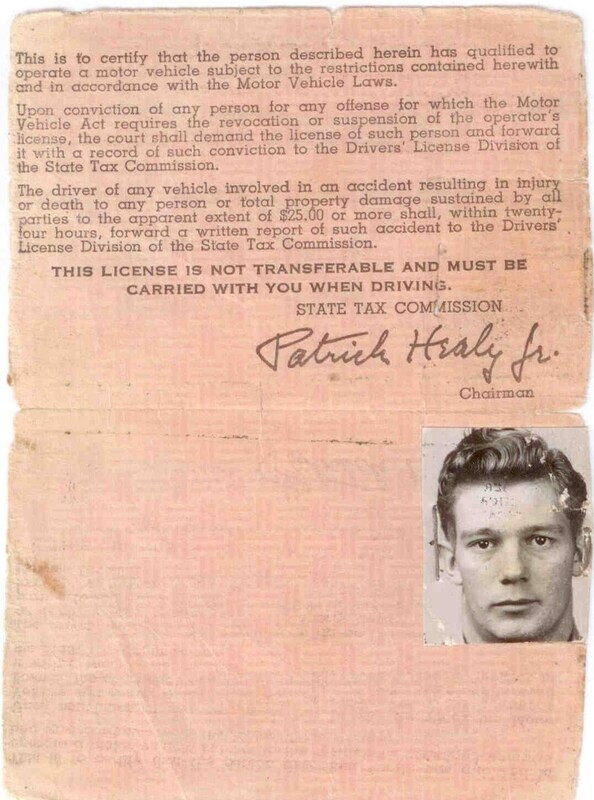 His chauffeur’s license from 1951, luckily the photograph is still attached and you can see his signature. 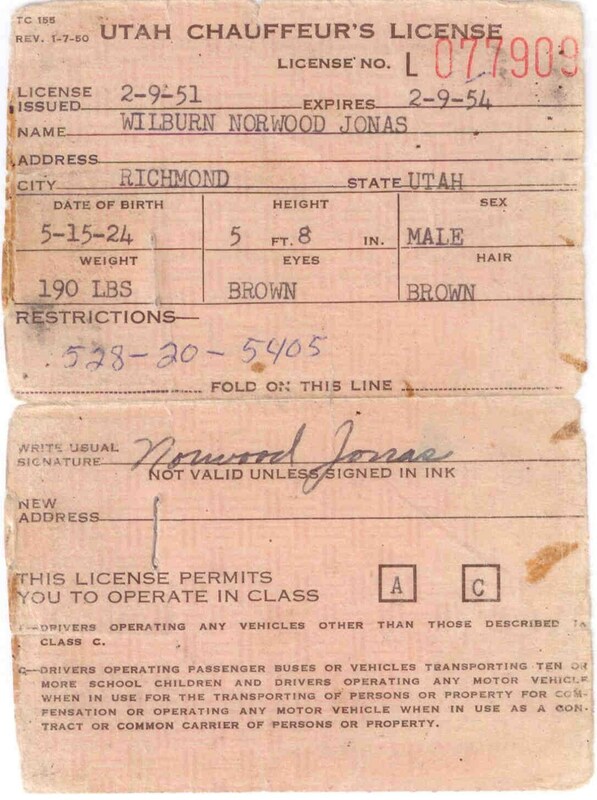 His insurance card from Mr. Skidmore in Richmond, Utah. 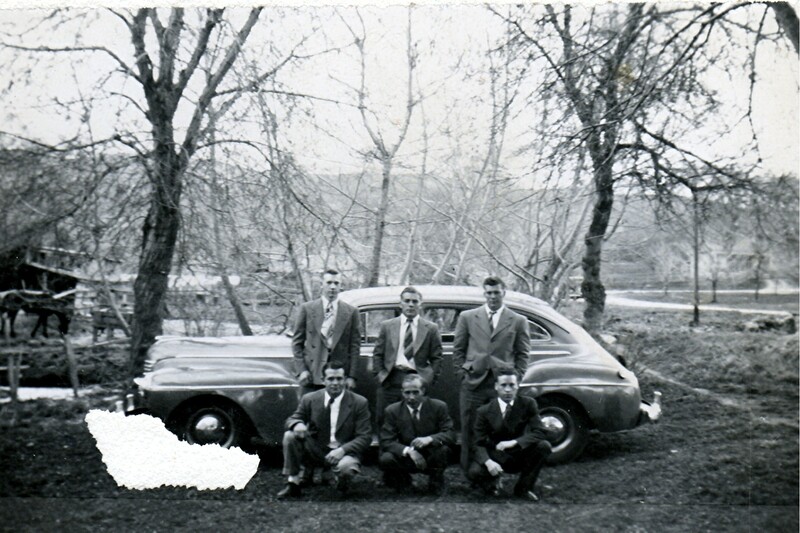 This photo was taken on 17 April 1950 in Richmond, Utah after the funeral and burial of Kent Jonas, Ellis and Geri’s son. Back (l-r): Lowell Andersen, Evan Jonas, Norwood Jonas. Front: Joseph Jonas, Spencer Jonas, and Ray Talbot. A picture from a mid 1950’s Jonas Family Reunion. Back (l-r): Ellis, Joseph, Lona, Norwood. Front: Evan, Spencer Jonas. 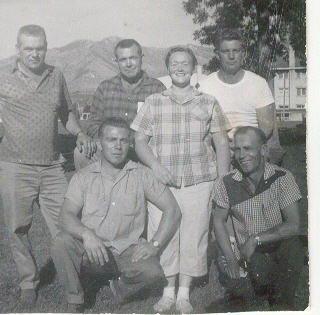 A picture from an Andra Family Reunion about 1957. 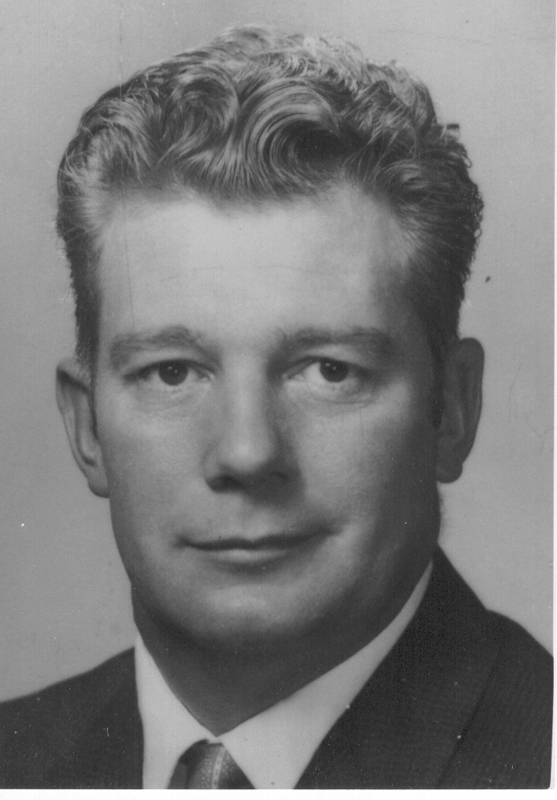 A formal portrait in the mid to late 1960’s. 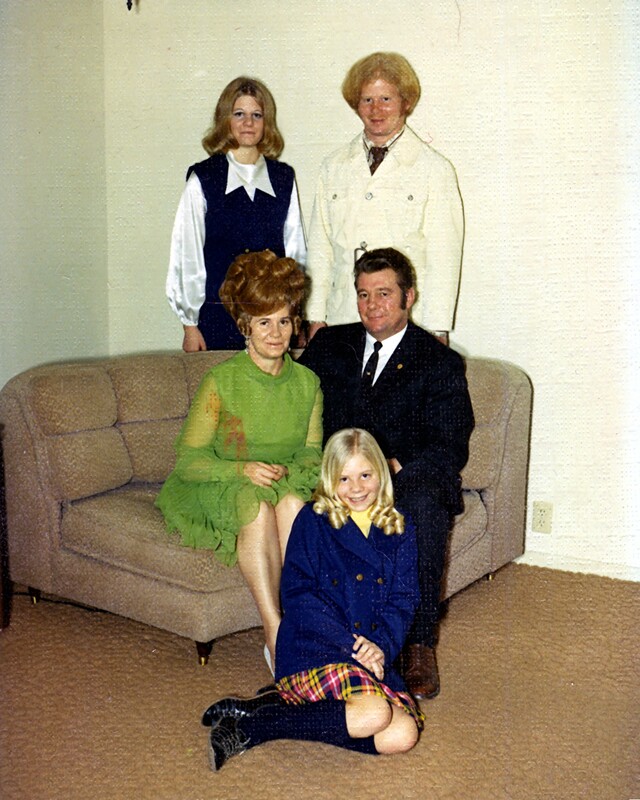 A family photo taken somewhere around 1970. 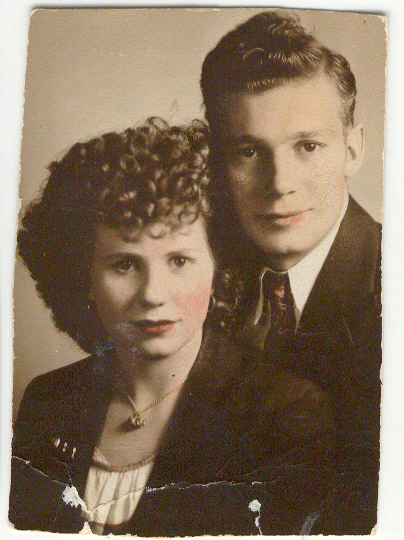 Norwood and Colleen Jonas Family. 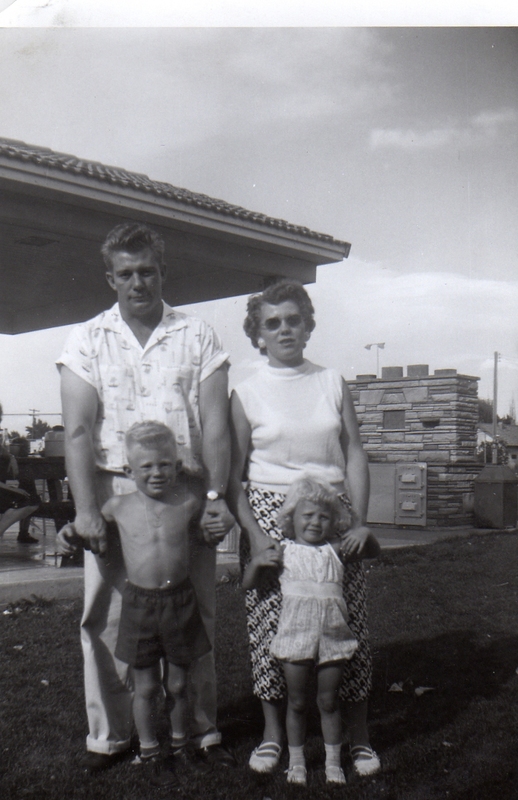 Children, oldest to youngest, Doug, Sandy, Jackie. 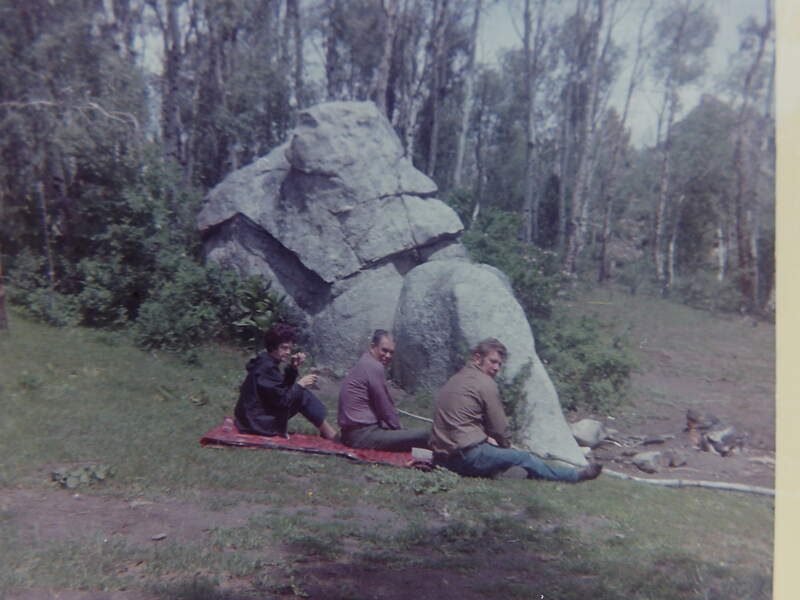 A picture of a visit to City of Rocks in the early 1970’s. 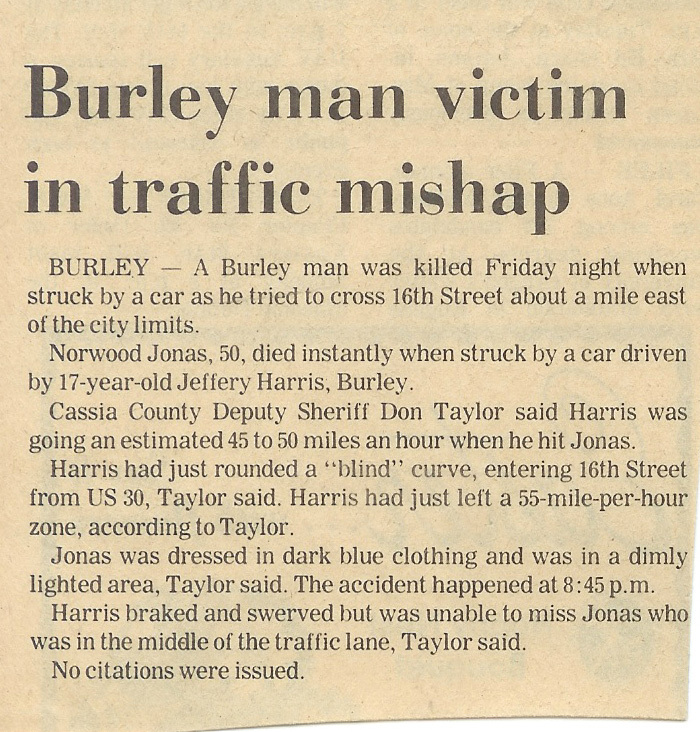 A couple of the newspaper articles around Grandpa’s death.